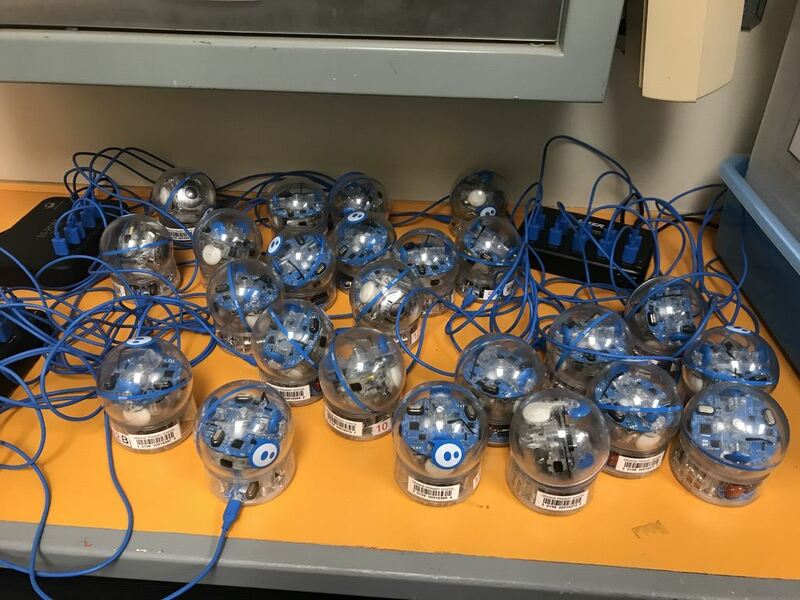 Sphero Edu – Mrs Baldwin's Class Blog! 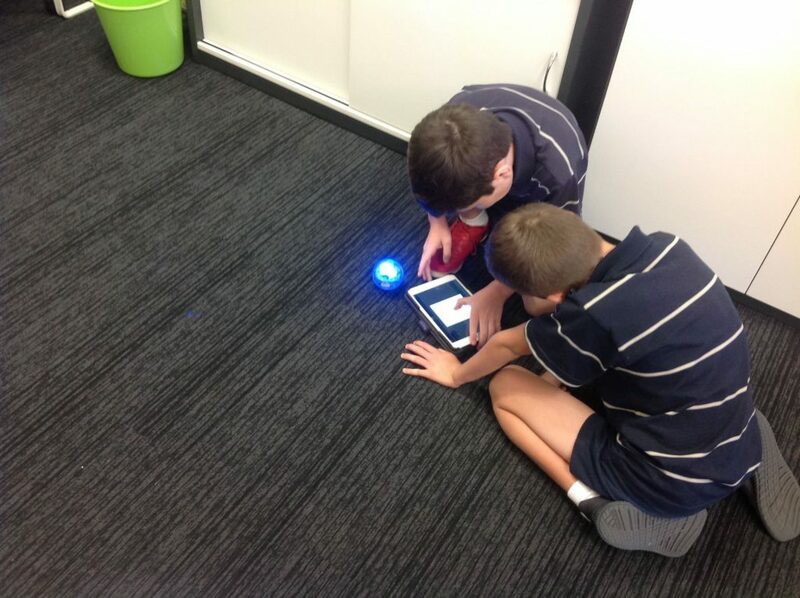 This year, with the help of Mr Philbrook, we were introduced into the world of coding using Spheros. A Sphero is a spherical robot designed by Sphero. It is a white orb wrapped in polycarbonate, capable of rolling around, and controlled by a smartphone or tablet. A Sphero can roll at a speed of up to 7km/h in any direction and change colour. 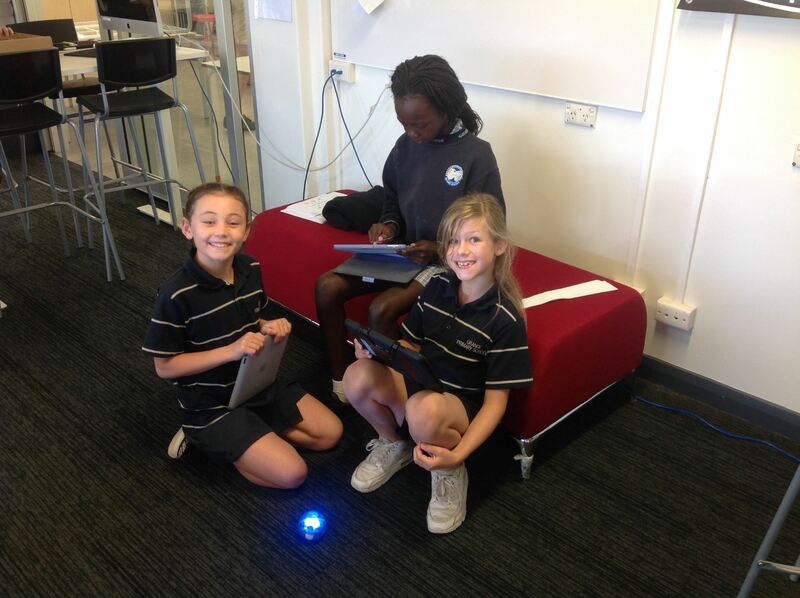 Using a range of Apps, students can accurately direct the movement of the Sphero using code. 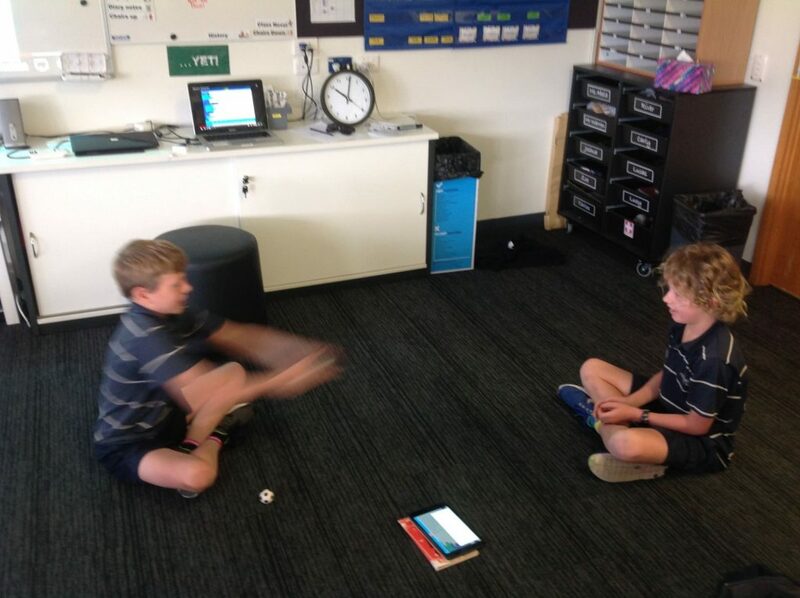 Creatively designed lessons incorporating Spheros can develop many of the attributes. 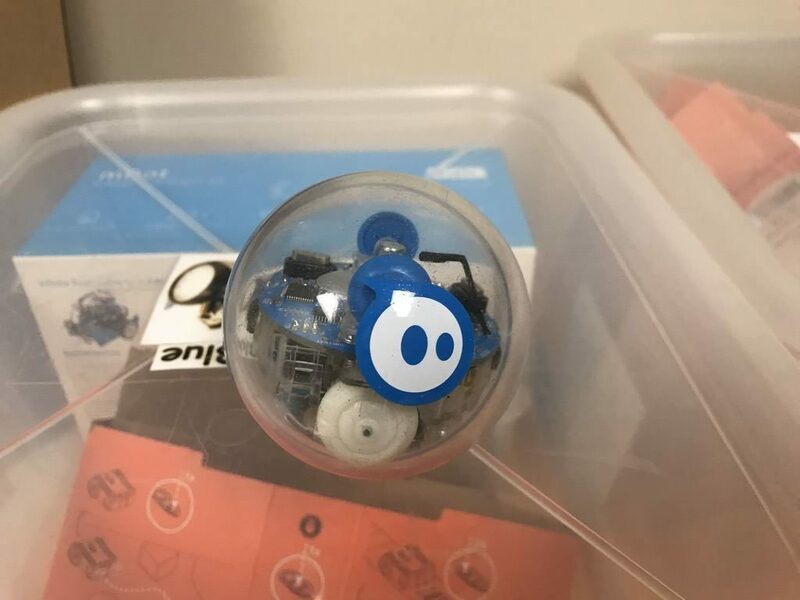 We can design and create a code to direct the Sphero while connecting, communicating, collaborating, problem solving, testing, failing, and retesting. It is one of the first ways that we are introduced into the world of coding. 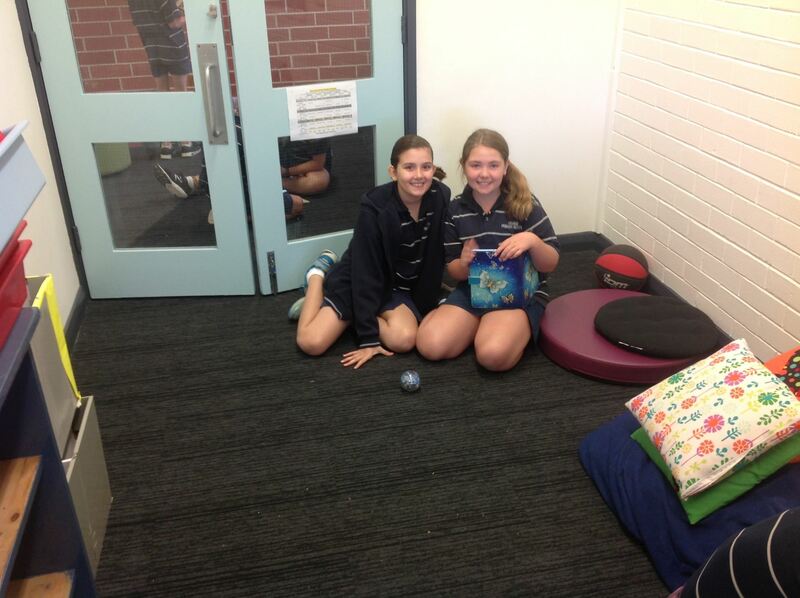 Our school is lucky enough to have a set of Spheros in the library that we can borrow. 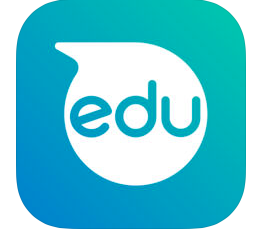 We also need our device with the Sphero Edu app which is free to purchase in the App store. Our first task was to work in small groups to create a code so that the Sphero would create a square by moving around on the floor. This was quite challenging as we needed to make sure that we chose a good speed and distance that the Sphero would travel to make sure each side connected together. We also needed to select the correct degree or angle that the Sphero needed to turn to create each corner of the shape. For our next task, Mr Philbrook taught us about the “If/Then, Else” code using the blocks program type on the Sphero Edu App. 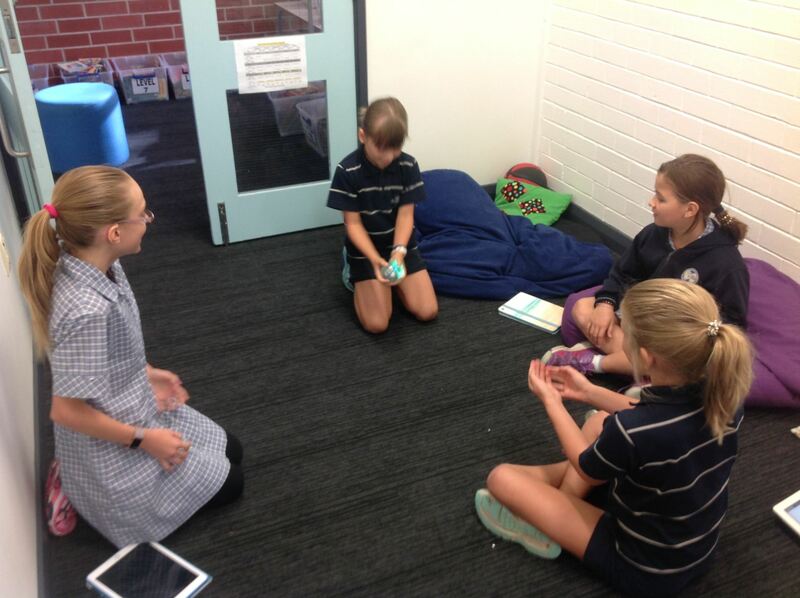 We used this code to create and play ‘The Toss Game.’ For this game we needed a group of 4. 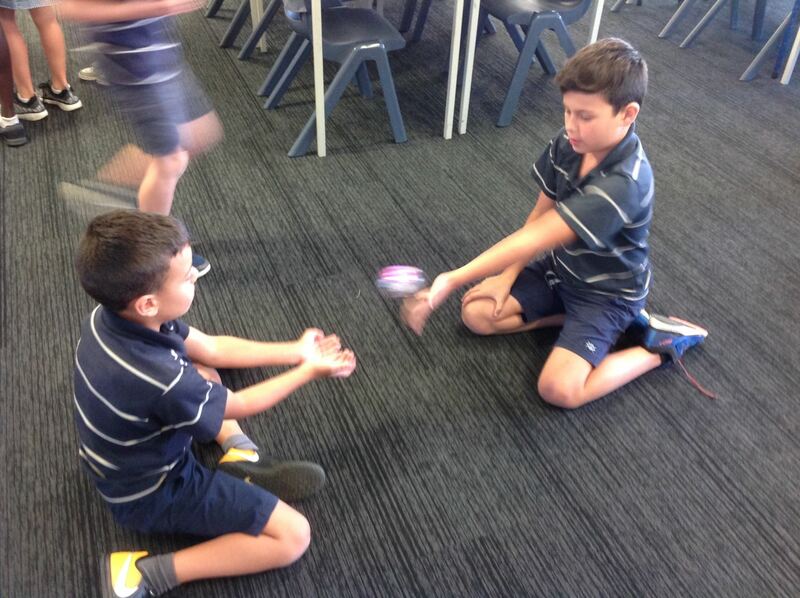 The aim of the game was to throw the Sphero to each other. When we threw the Sphero, it would make an animal sound. The person who catches the Sphero must guess the animal sound correctly. If we didn’t we had to act out that animal instead. Before we could play the game we had to create the “If/Then,Else” code CORRECTLY! If one piece of the code was missing the game would not work. This was quite challenging. Mr Philbrook demonstrated how to use the code up by watching the video below. It really showed us how important it is to have a correct code. The game was so much fun and it was a great reward at the end of the activity once we worked really hard to create a code. What did you find challenging about this task and why? What did you enjoy the most about this activity? 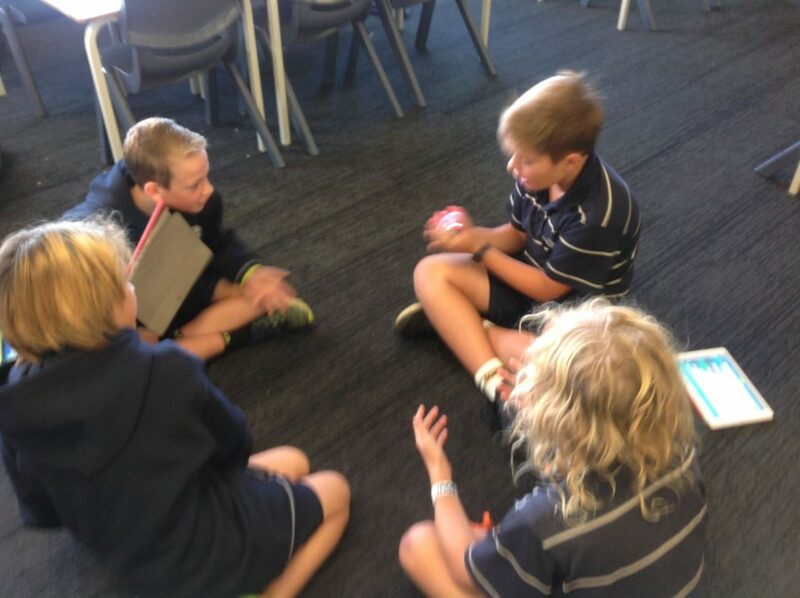 If you could create a game using the Sphero, what would your game be and how would you play it? What I found challenging about this task was changing the degrees because you had to put a number down and then check it and then you had to change it again etc. I enjoyed the tossing game. My game would be a racing car game except with a sphereo and all of the sphereos are different coulors so you can tell them apart . What I found challenging this year was when you had to turn the degree because it was really hard. I enjoyed the tossing game because it was really fun. My game would be race car driving and you would have to ask people if you wanted to race except it would by with Spheros and you would race other Spheros and it would be so fun. What i found challenging about this task was the buttons because if you wanted to start off by making a square there isnt a button that says ‘square’ you have to actually take your time to fing the right degree, speed, buttons and time. 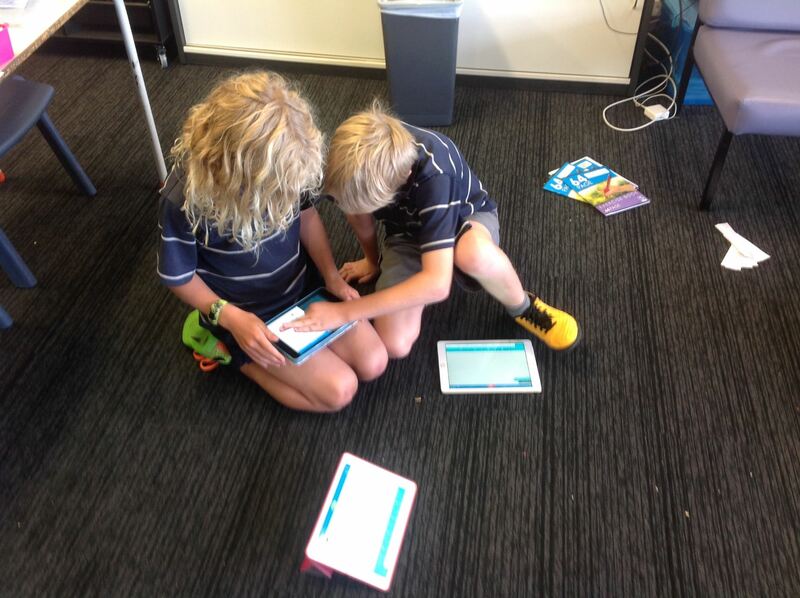 I engoyed, working with my friends, persisting and keeping on trying so i try to be at every sphero lesson. My game would be… that you had to use a map, type in a sertain code and vs someone to find the treasure. Dear Mrs Baldwin what i found challenging about this task was programming the sphere to do exactly what you want it to do because if you make a mastic you have to do it all again. I enjoyed throwing the Sphero and when it made all of the animal noses. my game would be find sphero, you would play it by some one cotroles the sphero and makes noses with it and another person has to find sphero. 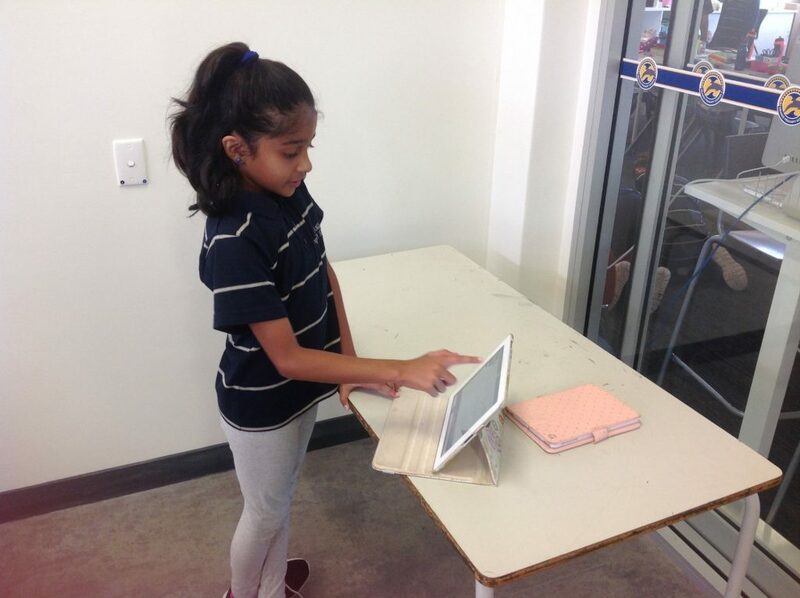 What I found challenging about this task was coding because you had to check and change. I enjoyed throwing the Sphero up and down. 1. What I found challenging about this task was finding the instructions for the sphero because there are so many categories and they aren’t in alphabetical order. 2. I enjoyed playing the animal sound game because it is really fun working in partners. 3. My game would be Spero jump. You would play it by getting no more than 4 partners, making the spero go into a shape then you would have to jump over the spero and the last person jumping wins! What I found challenging about this task was the degrees because you had to check and then change it again until you got it to turn around how you wanted it. I enjoyed playing the toss game I was one of the last to get out. I enjoyed this game because you had to guess what the animal was. You would play it by getting a few friends, lining up in a line. Then set the sphero to go straight and jump just before it hits your foot. The most thing I found challenging is the coding I had to do before I played the game because I had to be as careful as is can. The most thing I liked was guessing the animal when you threw Sphero. My game will be rolling where you roll a ball to your friend but you got to guide him. When you hat to connect to the Sphero because it takes so long to do. The most when we all got to have a shot and try and make a square and we could not make it. Mario kart because you can race other people how have a sphero and how ever wins makes a nose so like a chicken or a elaphant. What I found challenging about this task is the Sphero was not going in the right direction because I didn’t put in the right code to make it a square. What I enjoyed the most was that we finally got the Sphero to go in a circle and it also when it stopped at every corner it changed to a different colours. If I could make a game it would be something to do with netball so when you through the Sphero it will light up and make a colour from your netball team but when you through it,it needs to be in a netball position. Dear Mrs Baldwin what I found challenging about this task was directing the sphero to go in a square because it Cept on stopping and I didn’t know what to do. I enjoyed playing the animal game and trying to guess the sounds and also throwing the sphero to each other and the game was lots of fun. What I found challenging about this task was the dergre because you had to change the dergre again and again then you end up getting it right. My game would be basketball you would play it by the Shero has to term then go up a ramp and go into a little basketball hop and land on a soft pad. What I found challenging about this task was making the sphero turn because you might of boy known which way to go. 2. I enjoyed the tossing game because it made funny animal noises. Dear Mis Baldwin,what I found challenging about this task was were to put block codes so it works.I enjoyed is watching them roll about.My game would be obstacle spheros.From Thomas. 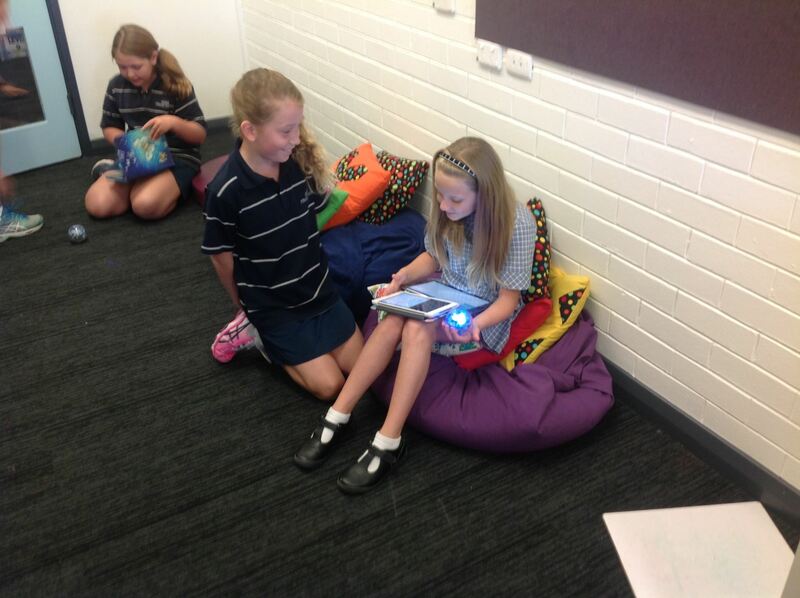 What I enjoyed the most was discovering what else the sphero could do because I like to learn what technology can do. The game I would make would be called ‘Run the Sphero’ where you have to run the sphero through many obstacles. What I found challenging about this task was making the sphero do the right things because there were lots of controls. I enjoyed when the sphero rolled away because it was like a animal. My game would be guess the object. You would throw the sphero and the sphero would change colour then you have ti guess a object that colour. Dear Mrs Baldwin, what I found challenging was the coding because it was fustraiting me because I did not work as well as it was suppose to. I liked the animal noises because I like guessing games because they are challenging. If I could make a game it would’ve when you roll the sphero and give it orders like roll backwards and stop. I found the most challenging task was the coding because you had to follow step by step from a video it was a diffrent things that we had on our ipad. I enjoyed the most was figuring out the coding becaause you had to figure out the digerese for the code and the boxes bellow. My game would be an animal code mixed with a shape code mixed together and you would play it by guessing the noise and making a shape.